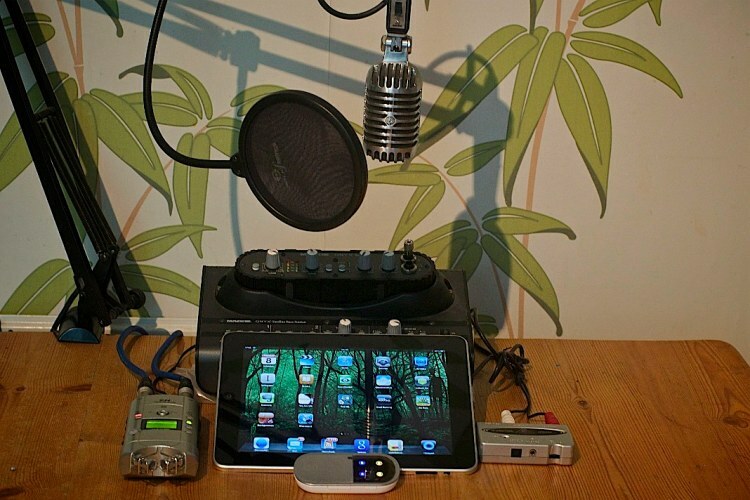 Back in 2006 when I first launched DN I spent a massive chunk of my time hunting down information on podcast set ups in the hope of finding the ‘perfect’ rig. Short answer, there is no one perfect solution, but there is a solution that will work for you. From time to time people ask what I use to produce DN, the site and the podcast, so instead of replying in adhoc emails, I figured it was time to put it all down somewhere accessible. There are two situations in which the audio interviews for DN are recorded; live and in person or (by far the most frequent) remotely over Skype. 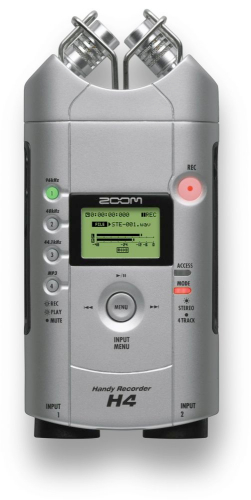 For the face to face interviews I’m never without a pad, a pen, headphones and my Zoom H4. Despite looking not dissimilar to a taser (which is frequently a good pre-interview icebreaker), I love this recorder. As well as being solid in the studio, it’s perfect in the field. It has two 1/4 Jack/XLR (with optional phantom power) inputs which means you can use pretty much any mic you wish with it, however I tend to let the built in XY crossed pair electret mics do their thing and have never been disappointed. A word of warning however; you can’t hold the H4 and record on the built in mics without including handling noise. I get round this by placing it on a table/solid surface and reminding my guest not to bang, tap or drum on it. Back to the positive, both the memory (SD cards) and batteries (standard AAs) are switchable so no worries about running out of space or power. The studio set up is a little bit more fiddly and comprises: A Shure 555H Series II mic & boom arm, MacBook running Skype, U-Control UCA202 USB interface, Onyx Satellite mixer, the Zoom H4 and Sennheiser HD 280 headphones. I could easily record the Skype interviews on the MacBook, but I’m paranoid and like the control of using a Mix Minus set up, eliminating the worry of losing an hour of interview if my Mac decides to crash. I then take the raw recording into Soundtrack Pro for editing and mixing (BTW – getting your head round the Spectral View will make editing so much easier), bounce it to iTunes for tagging, and upload to Libsyn. Hosting the podcast files at Libsyn lets me avoid unexpected bandwidth fees when episodes blow up. Finally I log into the DN WordPress to create the post, using ImageWell to resize/crop images and TextExpander to take care of the repetitive text and html code. Job done! If you’ve been visiting the site or reading the full feed then you know that we’ve got a lot more going on than just the podcast, which has meant I spend much more time surfing for films and posting to the site. I used to do all this from my MacBook but a new addition to my gear and a recent loan are making me reconsider my workflow. You may have noticed the presence of an iPad in the top picture, which in the six weeks since I’ve picked it up has pretty much become my default ‘computer’ – I only return to my MacBook begrudgingly to watch Flash videos or edit audio/video. My iPad is perfect for checking in with other film sites via NewsRack, watching films on Vimeo, editing pictures with PhotoPad and posting to DN – although I have to use the WordPress web interface as the official iPad app is worse than useless! All I’m really lacking is a decent audio editing/podcasting – tried Caster but it just didn’t cut it – and video editing app. 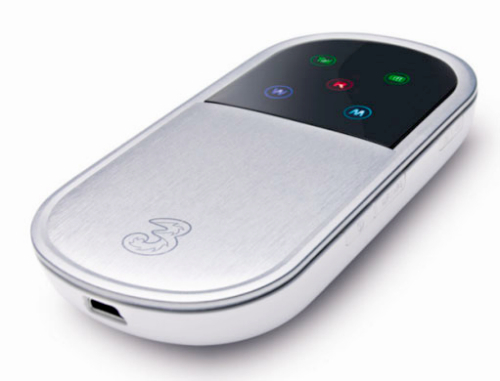 As I spend most of my time swaddled in Wi-Fi I decided to save the extra £100 for the 3G model and had a vague idea of the possibilities of carrying around a personal hotspot if I ever needed it, which I did a few weeks ago. The kind folks at 3mobilebuzz let me borrow one of their MiFi units which killed that problem dead. I blogged on the bus, on the train and didn’t have to hunt down a Starbucks every time I came to a rest. As long as there was 3G reception I was fine. It’s a forgone conclusion that I’ll be adding a MiFi to my on the go set up. I can see it being particularly useful when El Vez, Neil and I decamp to the London Film Festival later this year. So those are the workings behind DN. If you have any app recommendations to get me fully committed to the iPad or questions shout in the comments.